The market has sort of stabilized at the current total market cap of $266.4 Billion. The recent lows of $246 Billion that were witnessed around April 6th, have seemed to fade away gradually. But we are not out of the woods yet. Bitcoin (BTC) is still under $7,000; Ethereum (ETH) still under $400; Litecoin (LTC) still having difficulty breaking $120; and Ripple (XRP) has gone below $0.50. The one possible chance of a rebound, is the prediction by Thomas Lee, that the markets will most likely recover after the American Tax season is over on April 15th this year. His estimate is that by April 17th, we shall see some upward movement of the prominent Bitcoin. What we all know and observed with time and experience, is that once Bitcoin (BTC) goes up, the rest of the market follows suit. 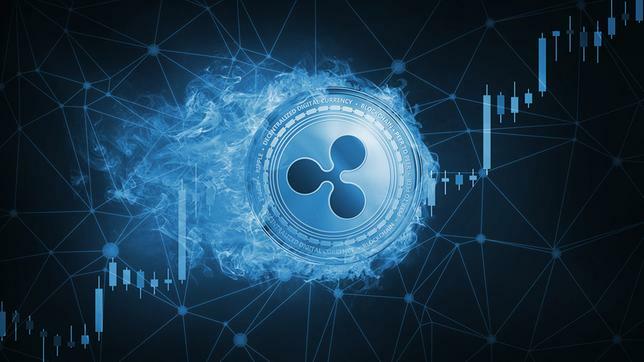 Perhaps that is why the $1 per Ripple (XRP) is the latest prediction to hit the Crypto-verse. This is despite the debate going on about whether Ripple is a security or a Cryptocurrency. From being an actual trader, I would like to defend that it is a cryptocurrency. It is also 100% decentralized. The only thing that might look centralized, is the lockup of 55 Billion XRP in Escrow last year to ensure certainty of supply. Going back to Thomas Lee and his prediction of a BTC at $25,000 by the end of the year, it is possible that $10 per XRP is within grasp as the market recovers from the current uncertainty, and by the end of the year. Also to add, is the $24.48 Bullish prediction of XRP after the current crash of Bitcoin that started in January and yet to fully bottom out. This price prediction is based on the ever increasing XRP partnerships. These partnerships include: Santander, Moneygram, Western Union, Global Central banks, LianLian International, RBC Bank and more. Another thing to note with this prediction is that it states XRP has been undervalued since inception. There is also the speculation of XRP being backed by Google. There is also the speculation of XRP partnering with Amazon and Uber sometime this year. Moving forward, there are only 2 things an XRP trader can do. He or she might HODL or keep stocking up on XRP anticipating the above events.